The flat surface of the top of the cupboard also makes a great place to rest your drinks or snacks, meaning your heater will quite literally become the centre of the conversation. 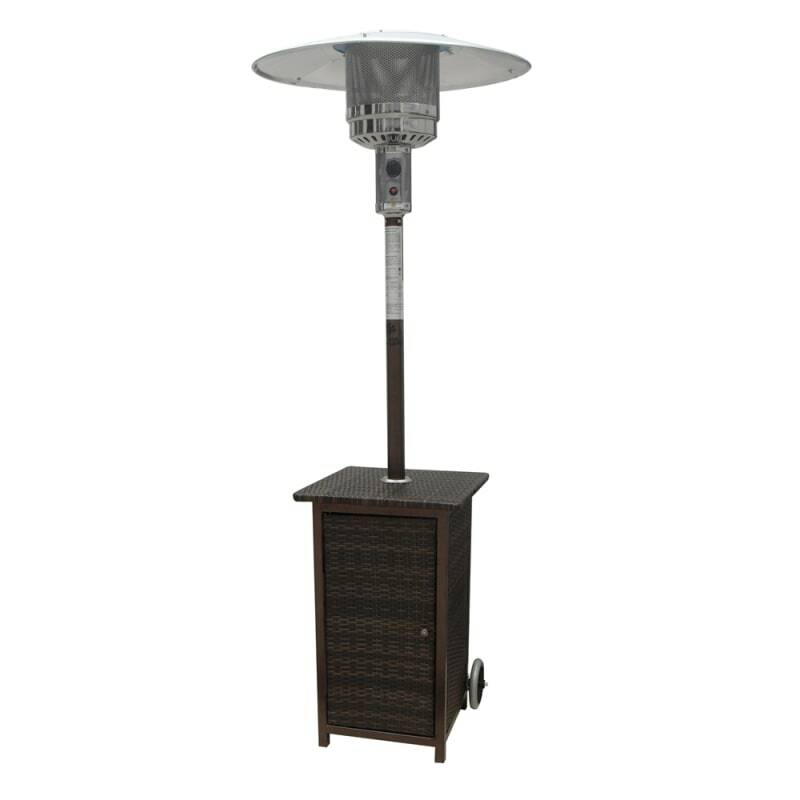 This elegant patio heater houses the gas bottle in a wicker cupboard, providing a less 'industrial' look than conventional heaters. What's more, the flat surface of the top of the cupboard also makes a great place to rest your drinks or snacks, meaning your heater will quite literally become the centre of the conversation. IMPORTANT - Never use different pressure gas without an appropriate pressure converter. Under or over pressure gas can cause danger including explosions or release of unburnt gas. Whilst 37mbar is the standard in the UK, these vary across Europe so be sure to check before use.